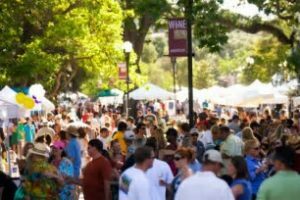 Its time again for the 35th Annual Paso Robles Wine Festival May 18-21, 2017! The celebration starts Thursday May 18 with the Winemaker’s Dinner, Friday May 19 with the Reserve Event featuring select local wineries and gourmet bites and Saturday May 20 kicks off the Grand Tasting featuring more than 70 wineries from the region. This year’s celebration will be arranged in regions focusing tastings into Bordeaux, Rhone, Zinfandel, Burgundian, Italian varieties and Other Wild Wines styles. Explore more than 140 other wine events throughout Paso Robles including barrel tastings, dinners, live music and more! Visit https://pasowine.com/events/winefest/ to register today!